Here’s a guide to the best keyboard shortcuts Navigating Windows with Keyboard Shortcuts Alone Navigating Windows with Keyboard Shortcuts Alone You might know lots of keyboard shortcuts, but did you know you could get around Windows without your mouse? Here's how. Read More for your Chromebook, along with a few other powerful hints and tips. We often use a mouse out of habit, not because it’s inherently easier or faster. Sure, it might be easier or faster right now because you’re so used to it, but if you can learn some keyboard shortcuts Top 10 Tips And Tricks For Google Chromebooks Top 10 Tips And Tricks For Google Chromebooks If you are one of the latest converts to Chromebooks and are looking for some of the best tips and tricks to get you started, then read on for some great hints. Read More you’ll be more productive in no time. If you think how much widely-known shortcuts like CTRL + A improve your efficiency when compared to performing the same action on a mouse, just think how much more efficient you could be if you knew lots more. There is also the health benefits of not using a mouse. 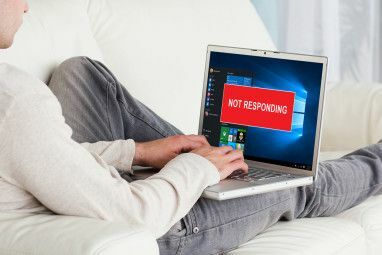 It’s oft-overlooked, but extensive mouse usage is associated with repetitive syndrome injury 5 Dangerous Gaming Injuries And How To Avoid Them 5 Dangerous Gaming Injuries And How To Avoid Them Imagine that you can no longer grasp a can of soda without your wrist feeling like it wants to explode. That, my friend, is what that innocent-looking game console can do to you. I'm not... Read More far more frequently than excessive keyboard usage. Before we run down the shortcuts that we believe to be most useful, it’s important to share this pro tip. Press CTRL + ALT + ? to reveal the ultimate cheat sheet of Chromebook shortcuts. As per the message on the screen, press variations of CTRL, ALT, and SHIFT to reveal all the individual modifiers. You can also head to an official Google webpage that lists all the shortcuts in a printable text format. Pinning your most-used apps to the shelf is a key part of Chromebook productivity. The app launcher isn’t particularly easy to use, especially since the redesign introduced an extra click to get to the list of all your apps. The importance of using the shelf is especially pertinent if you have lots of apps but don’t use folders to keep your launcher organized How to Make the Most out of the Chrome App Launcher How to Make the Most out of the Chrome App Launcher The Chrome App Launcher is a powerful tool that can do so much more than simply open programs. It can make a range of web-based tasks faster, easier, and more streamlined. Here's how. Read More . One drawback is you can only use shortcuts for the first eight slots. ALT + 9 will open your most recently used app. Windows users who work in an office environment How to Calm Your Mind Even in a Busy Office Environment How to Calm Your Mind Even in a Busy Office Environment As our workplaces become busier and more demanding, the idea of maintaining a calm mind might seem like an impossible dream. Some digital solutions lend a hand. Read More will no doubt be highly familiar with the WIN + L shortcut to lock their screens but remain signed in. Whether you’re going for a coffee, a cigarette, or a sandwich, the last thing you want is for your boss to see that you’ve got 42 Reddit tabs open. Chromebooks have always been a bit fiddly when it comes to docking Windows with a mouse, and some apps still take up more than half of the screen. Using ALT + [ (snap to left) or ALT + ] (snap to right) overcomes this problem. It’s well known that CTRL + F5 takes a screenshot and saves it to your Downloads folder, but did you know it’s also possible to take a cropped screenshot Taking Screenshots on a Chromebook: A Quick and Dirty Guide Taking Screenshots on a Chromebook: A Quick and Dirty Guide Just got a new Chromebook and wondering how to take screenshots? Here's how to take a screenshot on Chromebook, and more! Read More of the exact area you want to grab. Press CTRL + Shift + F5, and the mouse pointer will turn into a cross-hair. Just click and drag the cursor over the area you want, and as soon as you release the mouse the snippet will be saved. The ability to zoom your screen in and out can be useful for all sorts of reasons – for example, if you’re doing fine graphical work that requires more precision, or if you want to fit more apps on your shelf. CTRL + Shift + ) will reset the zoom to default. Chromebooks have done away with a traditional caps lock key, but that doesn’t mean you can’t get the same functionality if you need it. Just press ALT + Search and you’ll see a notification pop up How to Effectively Manage Your Chromebook's Notifications How to Effectively Manage Your Chromebook's Notifications Notifications can be extremely useful – making sure you never miss an email, message, or reminder. However, the important stuff often gets drowned out in sea of advertising and unimportant Pinterest updates. Read More in the bottom-right corner, along with a new icon by the clock. You can permanently convert the search key into a caps lock key if you miss the convenience – just head to Settings > Device > Keyboard settings and choose your functionality from the drop down menu. If you do a lot of work on long documents or in spreadsheets, the Home, End, Page Up, and Page Down functions will be vital to your ability to be productive. Luckily, they are present in Chromebooks, even though the buttons aren’t physically on the keyboards. If you do a lot of work in multiple languages How To Write Foreign Character Accents Using Your Chromebook How To Write Foreign Character Accents Using Your Chromebook If you regularly communicate in a language that uses accents, such as French or Spanish, you will need to know how to type them using your Chromebook. Here's how. Read More , or work on a lot of documents that require two (or more) different languages in the same text, this is a super time saver. To set up additional keyboards, go to Settings > Advanced settings > Languages > Language and input settings > Add. 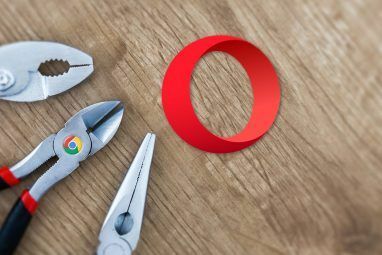 If you’re researching a project, there’s a good chance you might want to temporarily save all the webpages you’ve got open so that you can close Chrome and resume from where you were up to at a later date. To reopen all the bookmarked pages in a folder at the same time, click right click on the folder and select “Open all bookmarks in new window“. What Are Your Must-Know Shortcuts? Are you a shortcut user, or are you stuck in your ways with an old-fashioned mouse? What about your favorite shortcuts? 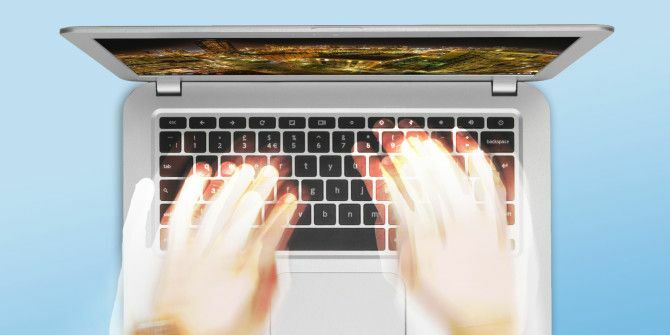 Which Chromebook shortcuts do you use regularly to speed up your workflow How To Speed Up Your Chromebook Experience How To Speed Up Your Chromebook Experience Do you want to improve your Chromebook experience with easy tweaks and shortcuts? There are lots of time-savers and little known tricks to improve and simplify your day-to-day usage of your device. Read More ? 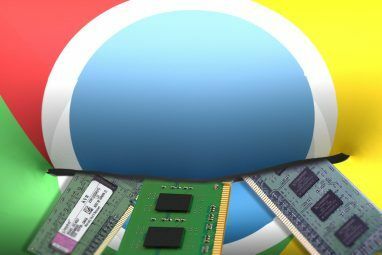 Explore more about: Chromebook, Google Chrome, Keyboard Shortcuts. At the login screen OR lock screen, typing "Alt + v" will show the chromebook OS Version and S/N. alt + [ and alt + ] are used all the time for me. Having sheets open on one side while crunching numbers on the other makes life so much easier. But probably the most useful is ctrl + z: nothing can beat the mighty power of UNDO!